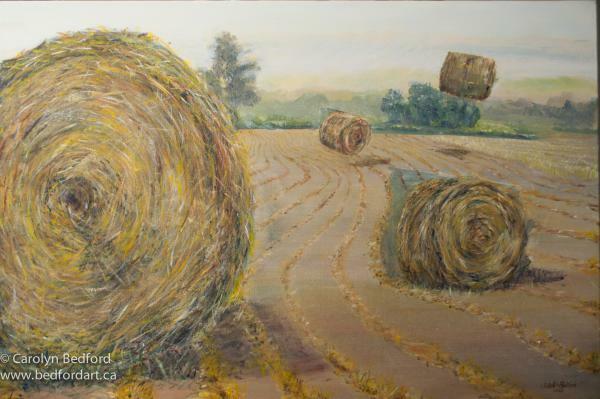 This piece was started plein air after I became entralled with the hay fields in the area. They will suddenly be cut and baled changing the landscape once and then again when they are collected and disappear from sight. This is a constant cycle where I reside. This piece will have a standing companion work in the form of a sculpture 3 ft x 4 in width.